CURIOSITY HOUSE: THE SCREAMING STATUE for Marvelous Middle Grade Monday EXTRA! This second book in the Curiosity House series is released next week. You can find my interview with one of the characters, Sam-Strongboy, and the two authors by clicking the link HERE. Comment either here or on that post (or both for a double entry) to have a chance to win a nifty deck of Curiosity House character cards and a hardback edition of book one, CURIOSITY HOUSE: THE SHRUNKEN HEAD & book two, CURIOSITY HOUSE: THE SCREAMING STATUE. I can’t wait to draw the lucky winner’s name on May 1st. But first… on to the review of this welcome sequel. All the favorite kid performers return: Pippa and her mind reading ability, Max the girl who throws an accurate knife, Thomas a boy who makes like Gumby and contorts into any small space. And of course Sam, the boy who is frightfully strong. All is not well at Dumfreys’s Dime Museum of Freaks, Oddities, and Wonders. The audiences have gotten way too small at their daily performance, and the place is in danger of closing. New to the cast is a real head turner– Howie. He has more up his sleeve than being able to show off his owl like skills. There’s humor and mystery at every turn and you will for sure be wanting more. Yes, one major escape ensures us book three can’t be far behind. In the mean time enjoy this unique and fun series by a pair of collaborators who know each other well. FULL PLOT (From-THE CURIOSITY HOUSE WEBSITE)Four orphans with extraordinary abilities and questionable pasts—Pippa, Sam, Thomas, and Max—are happy to be out of harm’s way now that the notorious villain Nicholas Rattigan is halfway across the country in Chicago. But unfortunately their home, Dumfreys’s Dime Museum of Freaks, Oddities, and Wonders, is in danger of closing its doors forever. But their troubles only get worse. The four friends are shocked when their beloved friend, famous sculptor Siegfried Eckleberger, is murdered. As they investigate, they find clues that his death may be tied to the murder of a rich and powerful New York heiress, as well as to their own pasts. In this second book in the exceptional Curiosity House series by bestselling author Lauren Oliver and shadowy recluse H. C. Chester, the four extraordinary children must avenge their friend’s death, try to save their home, and unravel the secrets of their past . . . before their past unravels them. The murder and mayhem is not too dark and perfect for middle grade eyes. The suspense and unique characters will have even the most reluctant readers curious. The setting is rich with historical references. Set almost 90 years ago in one of the most exciting cities then and now: New York City. The whimsical and unique drawings continue to amuse and inspire one to read on. The climatic scene caught me by surprise and as intended it had me furious but also itching to get my hands on book three. You may find yourself with a favorite character but for me they each had their own charm and likability. Each one grows in your understanding of their life as someone who doesn’t fit the mold. To this, even Max had no immediate reply. 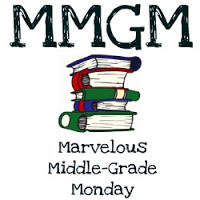 This entry was posted in Giveaways, Reviews and tagged Curiosity House: The Shrunken Head, Curiosity House:The Screaming Statue, H.C. Chester, Lauren Oliver, Marvelous Middle Grade Monday, MG book reviews, Middle grade. Bookmark the permalink. 6 Responses to CURIOSITY HOUSE: THE SCREAMING STATUE for Marvelous Middle Grade Monday EXTRA! I like the idea of 1930s NYC. Thanks for reviewing. Sounds so good. Older and younger readers might enjoy this one. What a hoot! Children with questionable pasts? This is the kind of book that makes me love middle grade fiction. Oh yes, one more to buy, and read, and give to AA favorite student. I really love the period this book is set in. Very realistic.